Booking a ticket online for your next destination? Well, it is pretty obvious that during the time of checkout you will come across an option to protect your trip via airlines travel insurance plans. Such policies are not only offered by the airlines alone but are offered by many other online travel agencies, but the actual coverage is done by a third party insurance company. The price you pay for such plans generally lie in the range of 4%-10% of your total pre-paid, non-refundable trip cost. Sounds like a great deal, as the airline reimburses the trip cost you paid if you face any delay or need to cancel your trip. Reimbursement is done according to the terms and conditions of the travel insurance plan you opted for. Insurance is something that protects you from the unforeseen damages that you may face in the future. The word “may” gives a whole new dimension to the concept of insurance. The insurance company profits from the money you pay them to protect yourself, from the damage that did not happen. So now you must be wondering that why waste money in insuring a trip? But what if you really face any trouble? The insurance plan could have protected your loss in such a case. This is the major reason as to why the concept of travel insurance policies put a lot of people in a dilemma whether to buy the insurance or not. Ever heard someone saying that they had insured their trip with the airlines trip protection but still got very less reimbursement or even no reimbursement in some cases? Yes, this happens to a lot of people every day due to the specified “terms and conditions”. One of the most successful tactics of the companies to fool their consumers is that the services they provide technically seems to solve the purpose but in reality have a bunch of terms and conditions along with them which often many people don’t feel to bother about. What is a change fees? There are certain cases when you might be asked to pay for a change fees. – In case you want to cancel your current ticket and buy any other ticket which is either expensive one or a cheap one. – In case you simply want to cancel your ticket. – In case you want to change the name or make any other change on the ticket, then the ticket shall be cancelled by paying change fees and another ticket with the right name or the desired change is generated. The cases in which you might need to pay a change fees vary from company to company as all the companies have their own set of rules and regulations. So you will find different reasons for change fees in different companies. The above mentioned reasons are the most common reasons that you are likely to find in all the companies. So do you really need a travel insurance policy or should you save those extra bucks and have dinner in a good restaurant instead? Let’s get in more detail regarding the same. Does it matter in which airlines you travel? – Which airline provides cheapest ticket? – Which airline provides best experience of travelling? – Which airline provides good food? And the list of factors goes on. But have you ever compared the airlines on the basis of more lenient refund policies or easy refund process? Mostly people ignore it, but the reason of mentioning this point is that you might save yourself from buying travel insurance plans. There are some points that you can add in the list of your comparison factors for the best airline services. Airline that provides fully refundable ticket: Yes, there are airlines that provide fully refundable tickets and in case you feel to cancel the ticket you will get full refund of the cost you paid. You just need to keep looking for such offers provided by airlines. Usually such tickets cost more than the normal ones but sometimes you might find a good deal. Airlines that doesn’t charge change fees: On doing some research you might come across some offers like “book your tickets 60 days before the trip and get your change fees waived” or “ use our credit card for the booking and get rid of those change fees”. So get your fingers on the keyboard and you might not need trip insurance anymore. Change within 24 hours of booking: This is an official right that many of the passengers don’t know and many airlines do not disclose to the passengers. You can actually cancel your booking within 24 hours of the booking. What do you need to do? Make an extra effort in reading the airlines policies! Costlier ticket but no change fees: There are many offers out there by various airlines that will cost you little more than regular but often is better and cheaper than getting that extra add-on of travel insurance plans. When can you not skip trip insurance? There are some cases where you definitely would not want to miss on your travel insurance. International trips: Travelling internationally does not come cheap. One can spend from thousands to lakhs of bucks on an international trip. Spending a few bucks to safeguard a loss of thousands is a wise choice. The insurance not only protects you from the change fees on delay, cancelled flight or cancellation of the ticket but also offers other perks like health security and many other schemes. Unplanned extra stay: Future is full of surprises. You may never know what’s coming for you, and one thing that could give you nightmares is falling sick or having any medical issue on a trip that could land you in hospital. The extra stay is even worse for a traveler if he or she is not covered under an insurance plan, as there will be extra cost on accommodation plus medical expenses that could have been covered under insurance. One can still come up with the medical and accommodation expenses, but what makes a hole in the pocket is the travelling cost that you will have to face. This is because the return ticket that you had booked need to be cancelled and that will cost you change fees plus booking of fresh ticket. This is a scenario that everyone would want to avoid and the only way is by taking the best travel insurance plans. When it comes to the exchange of services between two parties there are some conditions which the company or agency apply for preventing any misuse of the service provided by them or any fraud against them. So it is really very important to go thoroughly through the terms and conditions of the insurance company or agency. If you think that an excuse of a fever will be enough to avoid that INR 300 cancellation or change fees then you need to rethink about your decision. The reason for disabling you from travelling must be strong enough and in case of medical cause a report from a doctor is required. – Any obstruction in the way towards location of departure. – Any sudden court hearing. – Traveler affected by natural disaster. – The location of departure is affected by natural disaster and is not offering services for at least 24 hours. – There is any terrorist attack in the destination you arrived to. If you experience any of the above events then most probably your damages are covered. Some insurance companies even offer more events in which they cover your damages. What if your reason does not fall in the insurance companies conditions? In this case you have the option to go for an insurance that comes with cancel for any reason policy. It will be on the costlier side but it’s better to be safe than sorry! 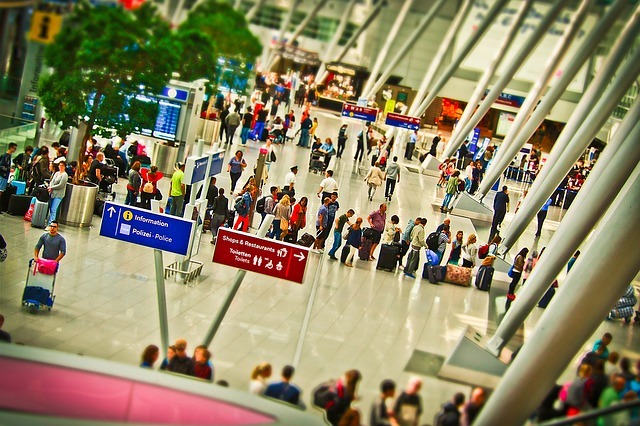 Can you avoid change fees by purchasing airline trip protection? Yes. The airline trip protection will safeguard you from the change fee, this is the very point of the existence of the trip protection plans to protect you from loss. So do you really need travel insurance plans? It totally depends on your research. You need to crack a deal that fits to your needs. You might find a ticket that is cheap but is non-refundable so you will need an insurance to protect change fees or you might find a ticket slightly costlier than regular but is refundable and costs you less than the cost of purchasing a regular ticket along with insurance. So choose wisely and according to your need.